Everybody knows about Yellowstone national park and everybody wants to go there. 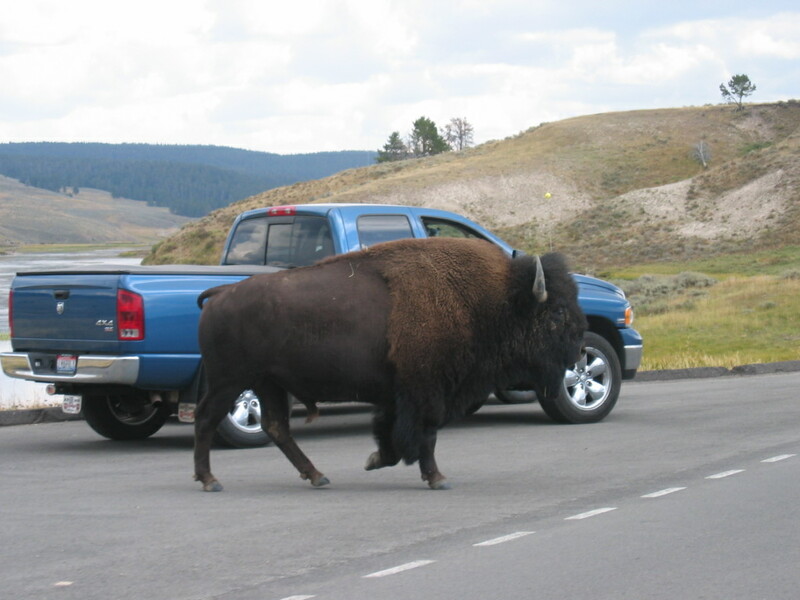 That’s why you always see a lot of tourists in Yellowstone no matter when you go visit the park. 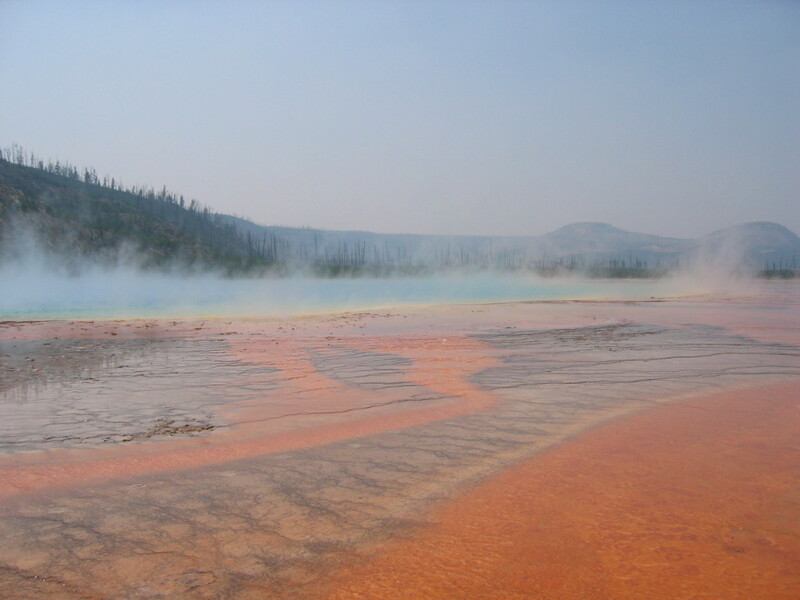 I love Yellowstone national park. Though it’s famous for its world’s largest collection of geysers, you will find out that it’s actually much more than that – the Grand Canyon, waterfalls, mountains, and hot springs – you won’t be bored. 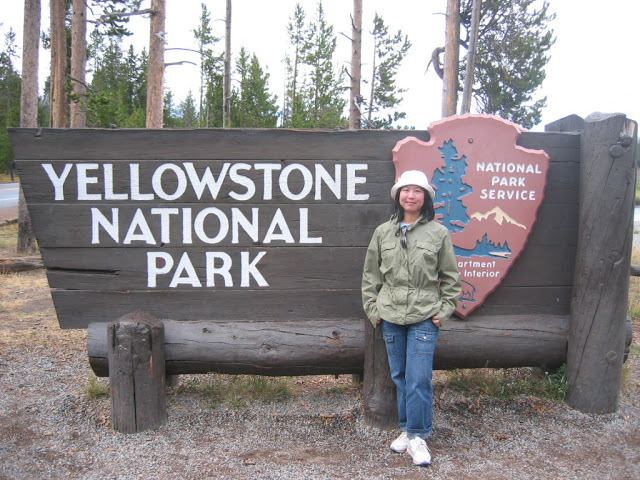 The park is open 365 days a year but I personally feel the best time to visit Yellowstone is between July and August. We went in July 2006. It’s warm enough in daytime and we could wear summer clothes, but it’s still very chilly at night. 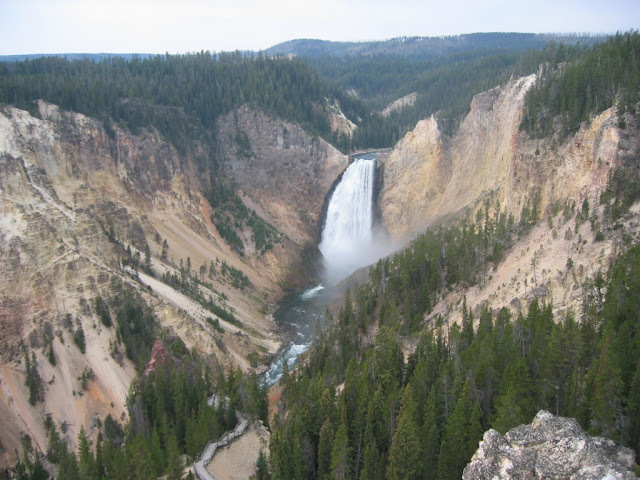 I might be biased, but I feel visiting Yellowstone in summer will give you more opportunities for hiking. Of course, the downside of it is you will compete with a lot of tourists. There are so many entrances that you can come to visit this national park from different states. We flew to Salt Lake City and one of my friends drove a whole night from Salt Lake City to Yellowstone. When we arrived at Yellowstone it was already in the morning and we entered the park from the West Entrance. 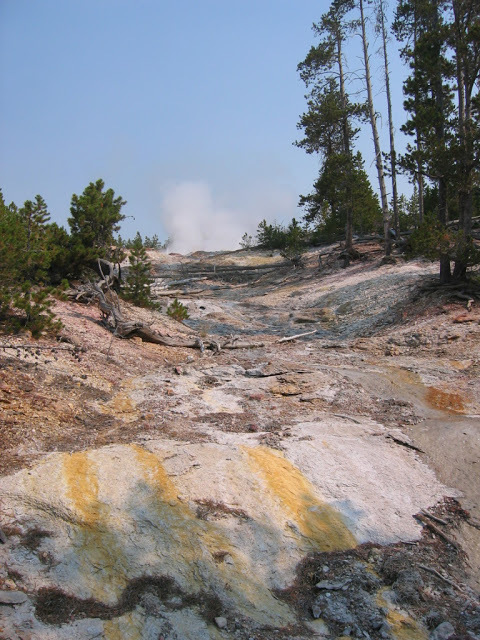 It’s actually not a bad decision ‘cos the west entrance is really close to the Madison geyser area. There are also some hotels outside of the park west entrance. We left the park from the south entrance because our next destination was the Grand Teton National Park. 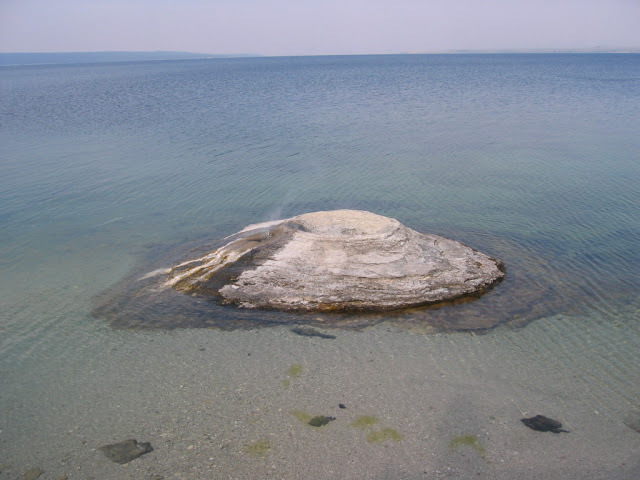 It’s a long drive from the Yellowstone lake area to the south entrance (~22 mi). We saw a lot of fallen trees on the mountains. Tons of things you can do in Yellowstone. You should at least spend 3 days in Yellowstone, in my opinion. We spent four days there and here is a list of highlights that I think you definitely shouldn’t miss in Yellowstone. What is Yellowstone famous for? 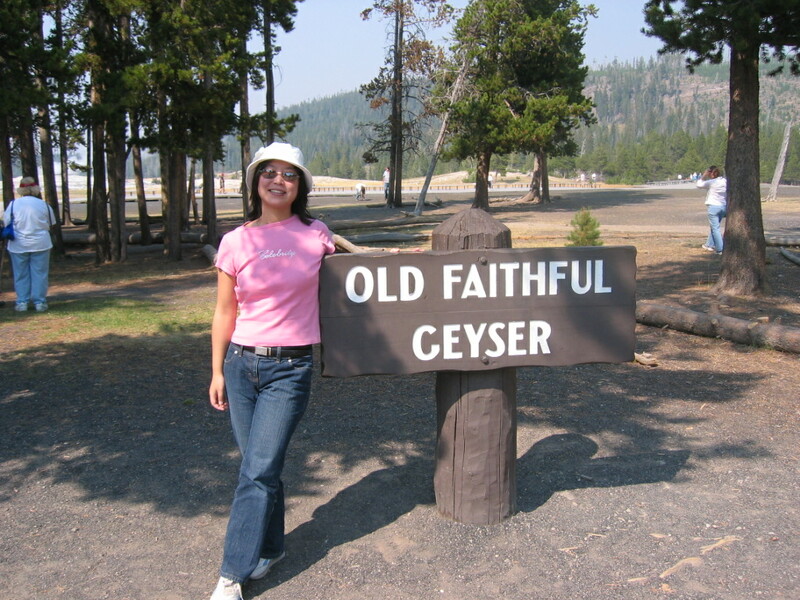 Geysers! So, yeah, you wouldn’t miss it. 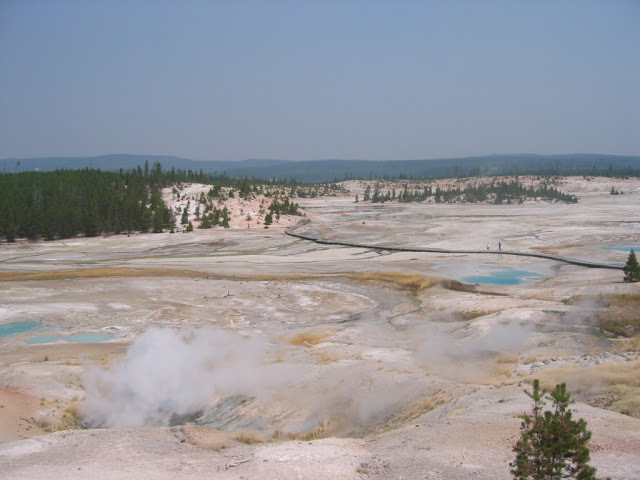 Driving south from the Norris Geyser Basin, you can detour from the main road and drive on the Firehole Canyon Drive for a while. 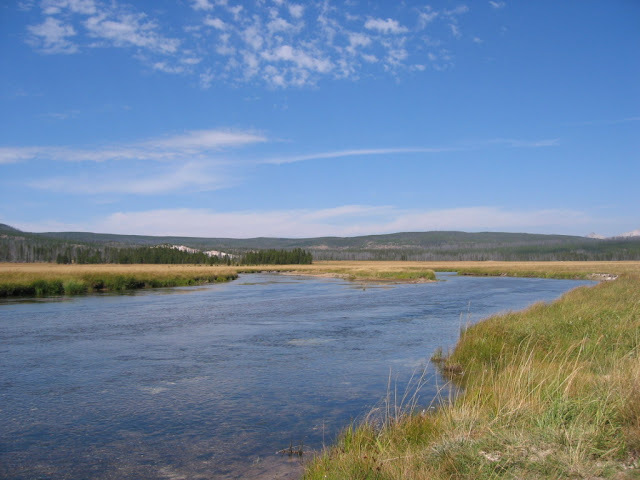 Driving beside the Firehole valley, you can enjoy the view of the valley, creek, and waterfalls. Though it’s only a trail of 0.5 mile, you will be impressed by what you see. 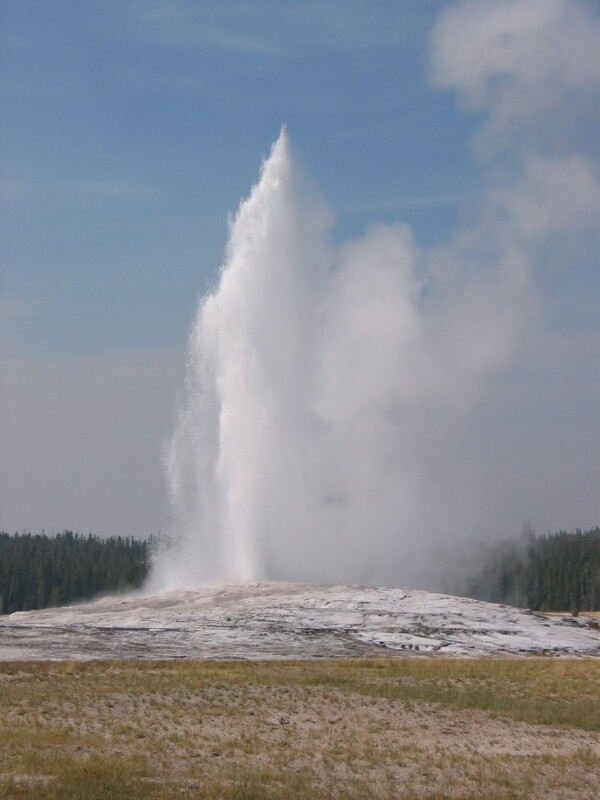 Most famous geyser in Yellowstone! A must visit place. 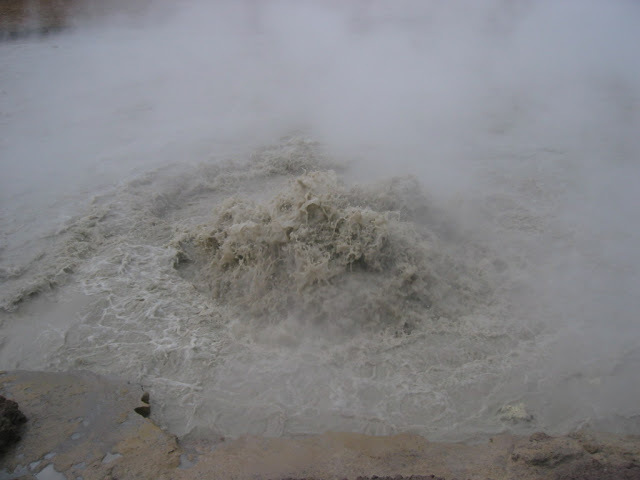 The geyser erupts every 90 minutes. You can get the schedule from the park visit center and time your visit that way. 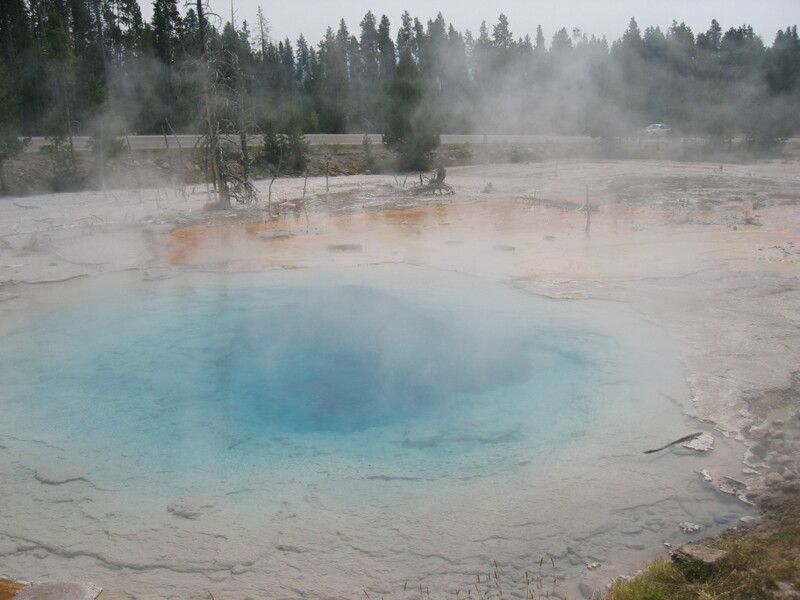 Driving southwest from Old Faithful for about 17 miles, you will arrive at another geyser basin named West Thumb. What’s special about this basin is that it’s located just beside the Yellowstone lake. 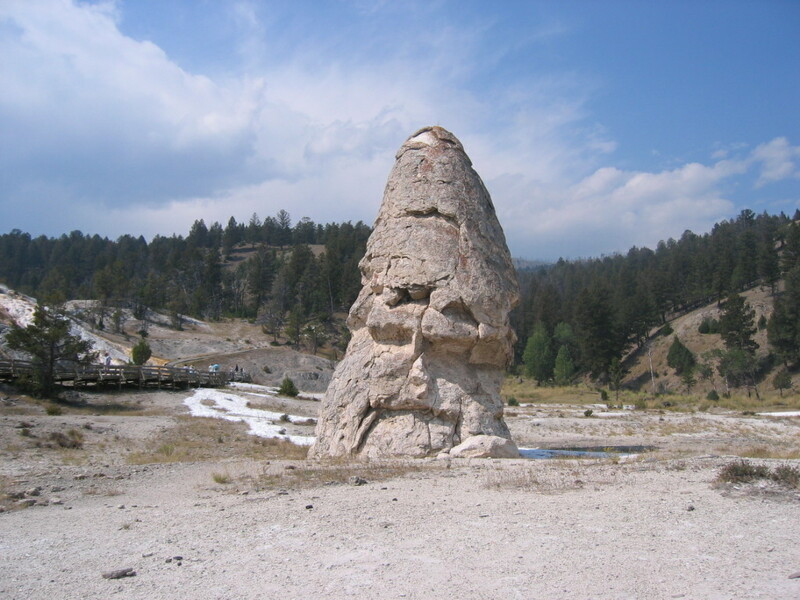 And, if you remember the moon cone that appears on a lot of Yellowstone postcards, you should come visit this basin ‘cos the moon cone is located at the West Thumb Geyser Basin. We stayed in the Canyon Village camp ground, a few steps away from the Yellowstone Grand Canyon. It’s such a beautiful canyon that you won’t want to miss. From there, you can also visit the upper fall and lower fall. Don’t forget to go to the Artist Point, a best spot to view the canyon and the waterfalls. 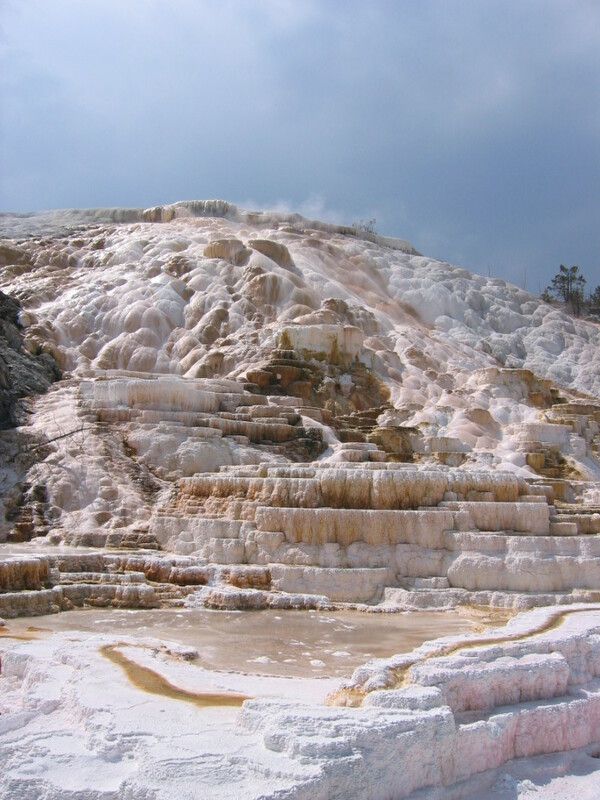 Another unique and must go place in Yellowstone. 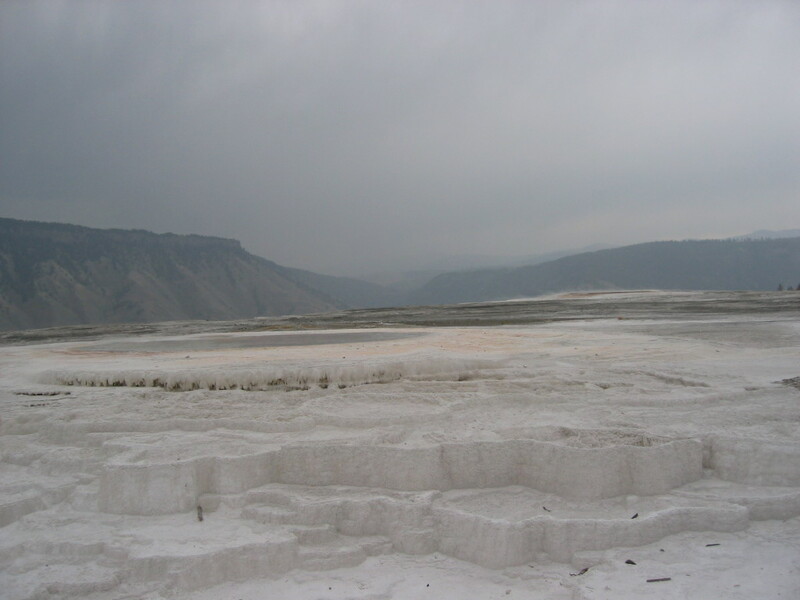 If you have some extra time, hike the Mammoth hot spring terraces. You won’t be disappeared. The Liberty Cap at the Mammoth Hot springs is the first thing you will notice when you arrive. 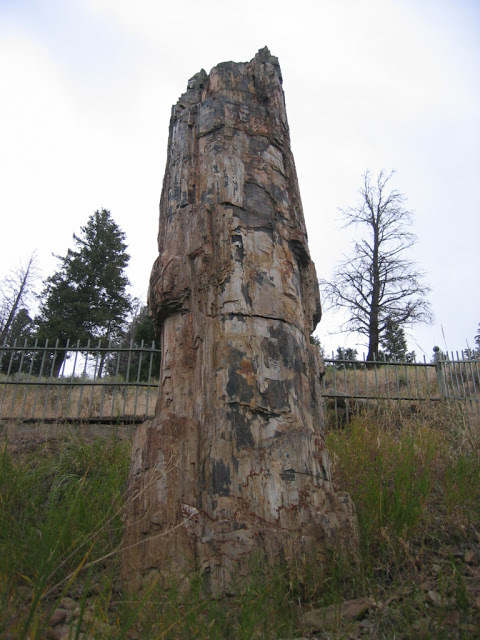 We also saw a petrified tree fossil on our way to Mammoth hot spring (a short detour from the main road). Located at the southeast part of the Yellowstone Park, this is another spot you should visit if you love geysers and hot springs. It’s not far from the main road so you will see a lot of cars parking at the roadside. 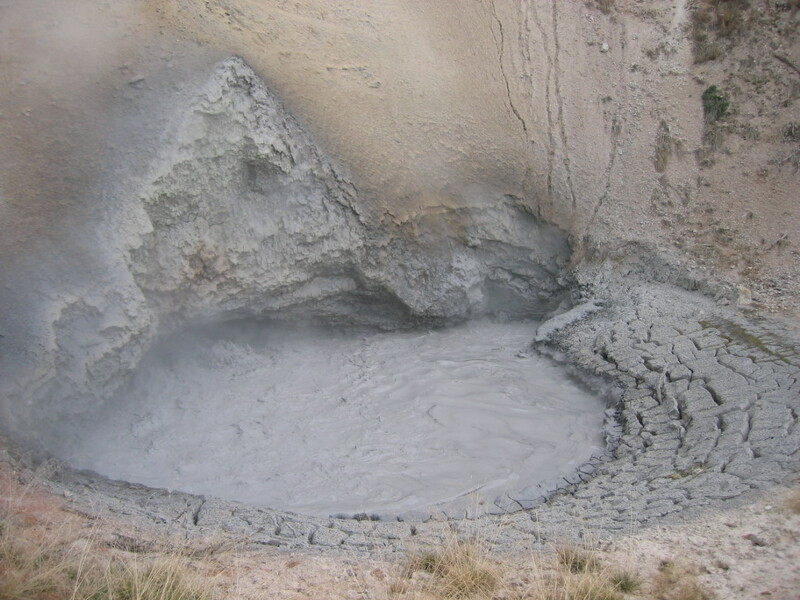 Don’t miss the Dragon’s Mouth, the Mud Volcano, and the Black Dragon’s Caldron. Have enough to see? 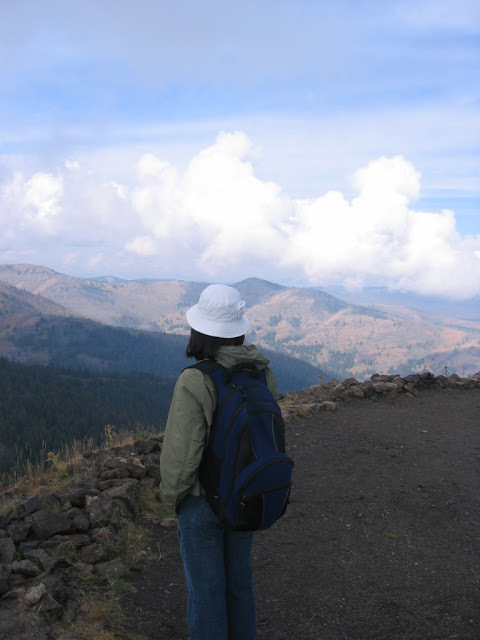 If you still have some time, don’t forget to try some hiking trails in Yellowstone. I always feel that hiking is the best way to explore a national park. We did a 6-mile round trip Dunraven Pass hiking on the last day of our stay in Yellowstone. 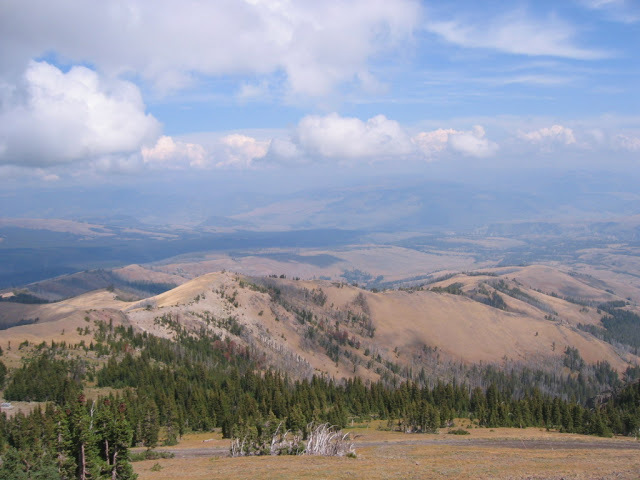 The ending point of the trail is the top of Mount Washburn. We also saw two bears during our hiking. A lot of fun. 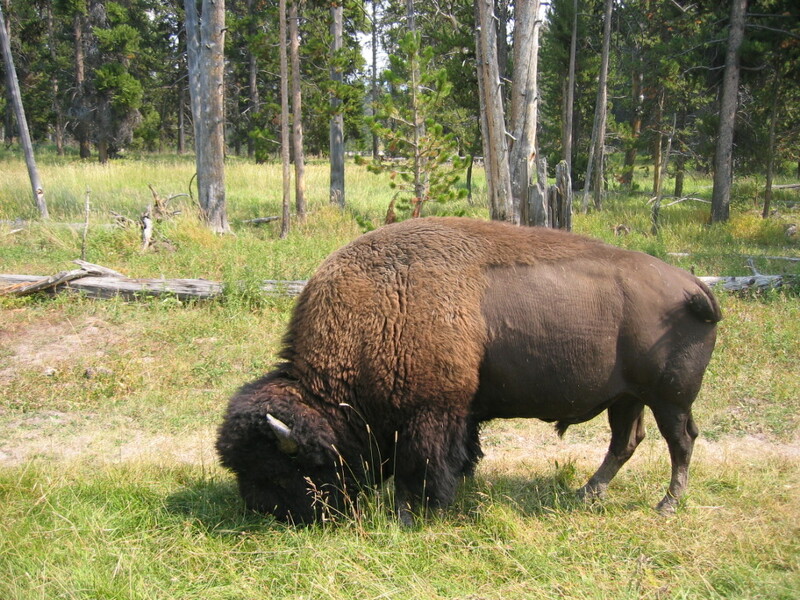 Finally, I have to share some bison pictures with you. Yes, bison are everywhere in Yellowstone. J Remember, you are visiting their land as guests. Be patient and be careful. Ever want to go visit a U.S. National Park? Go to Yellowstone!